Many ceramic knives manufacturers advertise their products as something that won’t easily get dull. However, the truth is that ceramic knives will eventually get dull. If you are one of those people who got a dull ceramic knife in the kitchen, you are surely wondering how to sharpen ceramic knives. I have a couple of ceramic knives in my kitchen. While I agree that ceramic knives look great and feel great, I knew that they would get blunt after X years of use. So I researched on and tested several ways of sharpening ceramic knives, which I would be sharing with you later on. 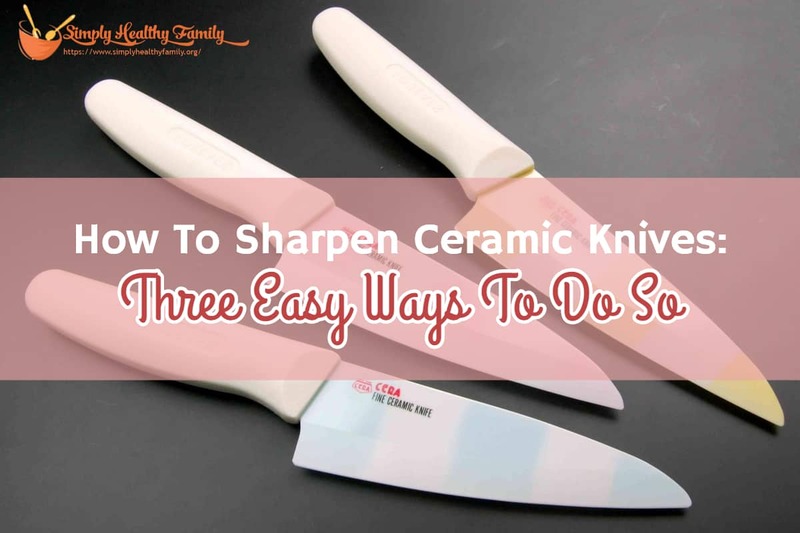 How can you sharpen ceramic knives? 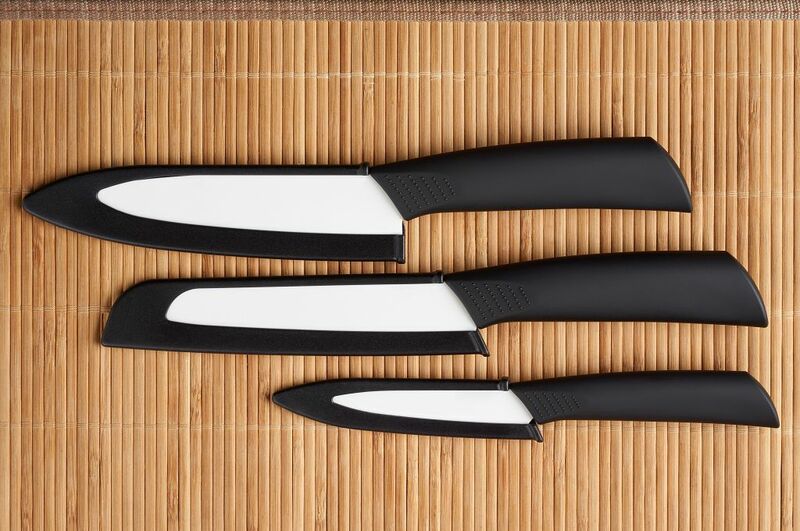 Ceramic knives are made from extremely hard and tough ceramic zirconia or zirconium dioxide. These are commonly made by dry –pressing zirconia powder and then firing these through a solid-state sintering. 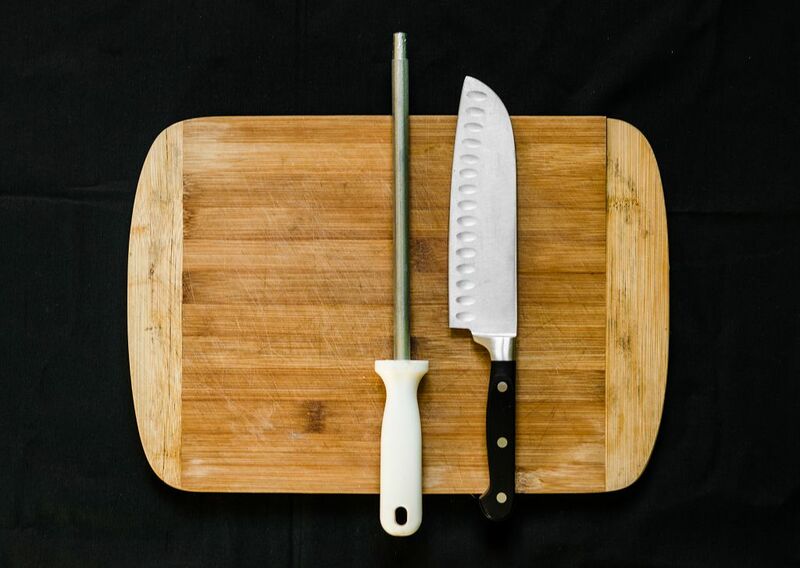 Ceramic knives have a very hard edge, significantly decreasing the need for sharpening. Aside from their hard edges, ceramic knives have other advantages as well. They resist stain and rust. These knives aren’t affected by acids found in foods. They are also very easy to clean and won’t absorb odors. Plus, these are very lightweight knives. 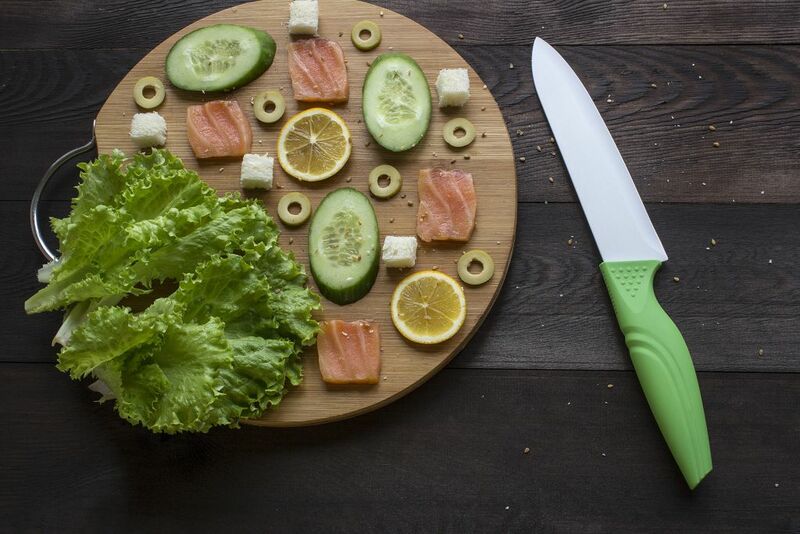 What’s tricky with sharpening a ceramic knife is that you can’t use traditional knife-sharpening materials made for steel knives such as oilstones as these are not hard enough to sharpen ceramic knives. You can return the ceramic knife to the manufacturer for sharpening, although you may find this option inconvenient. So how can you sharpen ceramic knives? Read on and find out. You can invest in an electric knife sharpener as this is one tool that you can use in sharpening your ceramic knives. I suggest that you look for one’s that diamond abrasive as it can remove nicks easily. However, there are only a handful of electric knife sharpeners good enough to sharpen ceramic knives. I have the Kyocerca Advanced Ceramic Electric Diamond Knife Sharpener at home, and so far, it has done a good job of sharpening both ceramic and steel knives. This is a battery powered device which features a diamond grinding stone capable of removing up to 0.5-millimeter nicks. I suggest you wear cut-resistant gloves in using an electric knife sharpener. Hold the sharpener down with one hand, while holding the ceramic knife in the other hand. Slowly pull both sides of the knife against the grindstone. You can then check the sharpness of the ceramic knife by cutting a piece of paper. The blade is already sharp if the knife easily and swiftly cuts the paper. If not, then you need to continue passing the blade into the slot. In my experience, 4-5 passes are enough to sharpen the blade. You might need more passes if the blade has become dull. Sharpening rods aren’t as convenient as electric knife sharpeners, but these can also be effective in sharpening a ceramic knife. Look for one made of diamond steel such as this one. How do you sharpen ceramic knives with a sharpening rod? It’s pretty simple. While holding the sharpening rod vertically or horizontally, strike the blade against the rod about three times at each side. That’s it! Again, remember to wear cut-resistant gloves when sharpening ceramic knives with a sharpening rod. Wipe the blade with a towel to prevent leaving behind metal fillings. If you have many ceramic knives, then I suggest that you invest in a work sharp knife and tool sharpener. The BOKER 09DX003 Work Sharp Knife & Tool Sharpener is not exactly cheap, but it is a good tool to have if you have multiple ceramic knives. You can also use it in sharpening other knives, and not just ceramic ones. This tool may look intimidating and complicated to use. But I assure you that you won’t have a hard time using it. Here’s how you sharpen ceramic knives with this tool. Lay a towel on an even surface and then place the clean tool sharpener. Insert the grit abrasive belt as well as the outdoor knife guide into the work sharp knife and tool sharpener. Hold the tool by one hand. Using your other hand, slide the blade 5-6 times at both sides. After that, change the abrasive belt with a higher grit. Continue to slide the blade from left to right until you feel sharpness coming out. Use a piece of paper to check on the sharpness of the blade. Then wipe the blade cleanly with a towel to get rid of metallic particles. Ceramic knives may take a while to go dull but you'll eventually need to sharpen them in the future. I suggest you invest in an electric knife sharpener or a sharpening rod as these tools are effective in sharpening ceramic knives. A work sharp knife and tool sharpener, on the other hand, is best suited for people who own multiple ceramic knives. I believe you won't encounter any problems in using any of these tools as long as you follow the pointers I discussed above.